Located on Yuelun Hill overlooking the Qiantang River, and to the south of West Lake (Xi Hu), Six Harmonies Pagoda (Liuhe Pogoda) is one of the true masterpieces of ancient Chinese architecture. 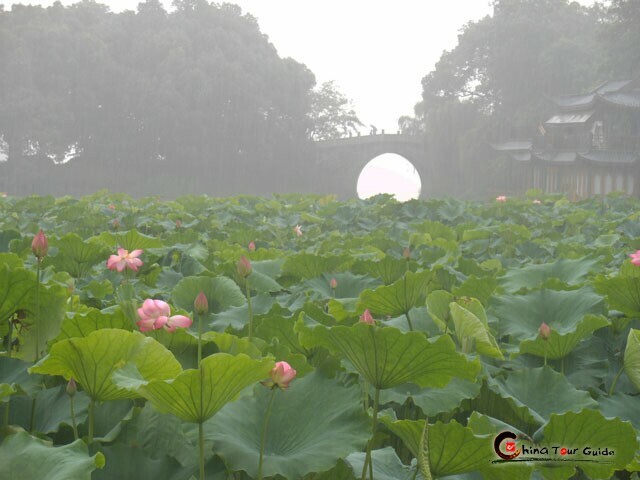 According to historic accounts, the pagoda was constructed first in 970 by the King of Wuyue, who ruled the area that is today made up of Jiangsu, Zhejiang and Fujian provinces. 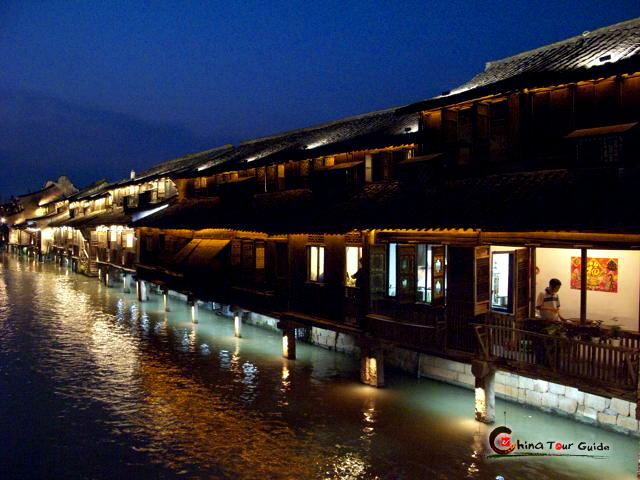 The purpose for building the pagoda was to calm the tidal waters of the Qiantang River, aid in navigation. The pagoda was named 'Liuhe' to signify the harmony of heaven, earth, and the four directions: east, west, south and north. Unfortunately, the pagoda was completely destroyed during a battle in the year 1121. 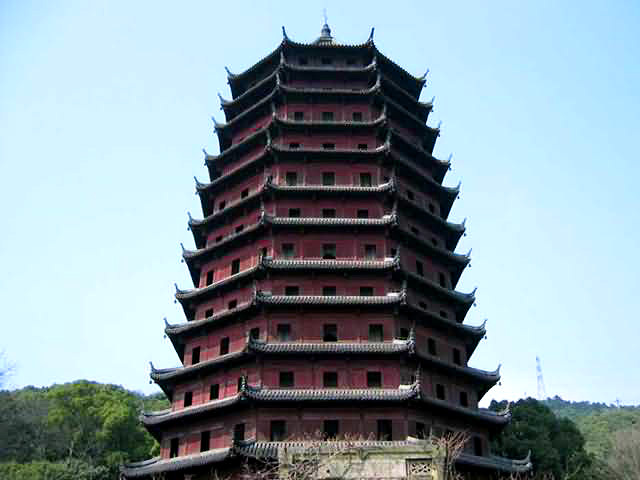 The current pagoda was constructed of wood and brick during the Southern Song Dynasty (1127-1279). Later during the Ming (1368-1644) and Qing Dynasties (1644 -1911), additional exterior eaves were added to the pagoda. It is octagonal in shape and some 59.89 meters (196 feet) in height. Through an architectural trick, it has the appearance of being a thirteen-story structure, though it only has seven interior stories. Another interesting feature of its design is the appearance of layers, bright on the upper surface and dark underneath. This is another attempt at bringing harmony to the pagoda, this time through the clever use of light and dark. 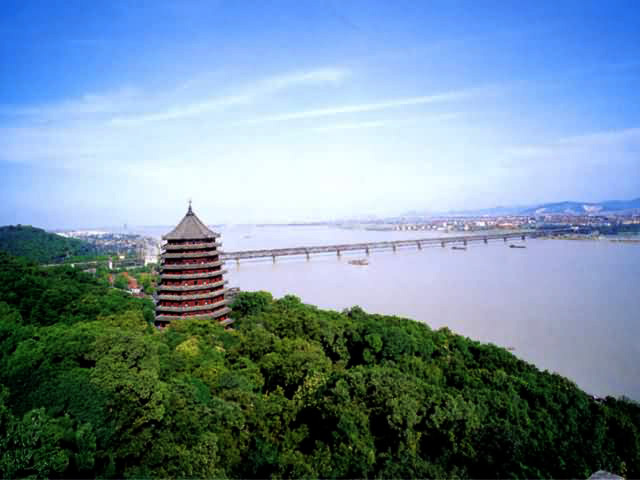 By climbing to the top of the pagoda, visitors will have a spectacular bird's-eye view of the Qiantang River and its bridge that spans the surging tides. Inside the pagoda, there is a spiral staircase leading to the top floor. Each of the seven ceilings are carved and painted with a variety of vivid figures including: animals, flowers, birds, and characters. Each story of the pagoda consists of four elements, the exterior walls, a zigzagged corridor, the interior walls and a small chamber. Besides the pagoda itself, which is arguable the most prominent of all the temples and pagodas in Hangzhou, there is an adjacent park with hundreds of realistic replicas of the world's most famous pagodas, complete with mini-sized trees in front of the pagoda models. In addition to the pagoda itself, which is arguably the most prominent of all the temples and pagodas in Hangzhou, there is an adjacent park with hundreds of realistic replicas of the world's most famous pagodas, complete with mini-sized trees in front of the pagoda models. It makes for an interesting stroll and an excellent snapshot view of some of the world's most intriguing and enduring structures. truly remarkable.